Collective Architecture’s Cathy Houston has recently been involved in teaching year one architecture students at Newcastle University. The course led by Dhruv Sookhoo tasked students with designing an ‘Urban Room’ for Tyneside, a series of structured studio sessions with site visits led to the development of early design concepts, explored further with elaborate scaled models and diagrams. 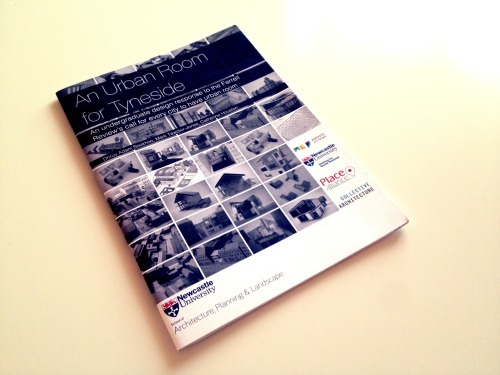 The work produced during the year has been collated into a publication edited by Cathy, the document (available online) sets out to record these findings and offer an insight in how bringing together real world, contemporary planning policy with studio based design sessions can benefit students and offer new visions with a range of possibilities explored.